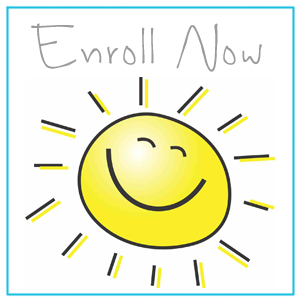 You can now enroll your child for our 2015 Fall Preschool Class! Monday, Wednesday, Friday from 12 - 3 pm. 1. Fill out and submit the online enrollment form. 2. Pay the enrollment fee to ensure your child's spot in Kreative Kinderland Preschool. That's it. You will receive a follow up email from Kreative Kinderland Preschool.